Transaxle with integrated gearbox made for electric transmissions. 35.000Nm static payload, 5.5000 maximum torque at wheels. Structures studied to minimise energy loss and noise emission for high input speed motors. 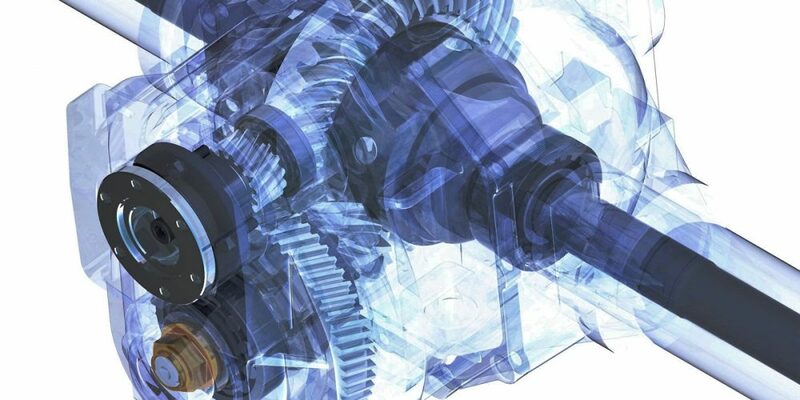 Helical gear with modified evolving tooth profile. It is an innovative transaxle, suitable for road sweepers, utility vehicles and ground support equipment. 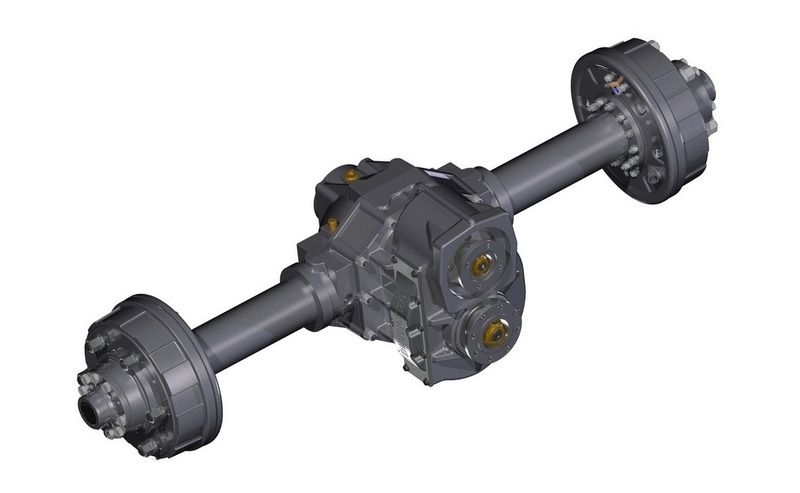 Could be assembled with double flange for the distribution of the torque on both axles and for permanent integral drive vehicles. Could be used also for hydrostatic transmissions or with endothermic motors. Available in rigid and steering version, different standard tracks available. Could also be assembled with disc or drum brakes at wheels, braking torque up to 4500N. Open basic differential, 100% run mechanically or hydraulically mechanic lock available.